By default, all hostings created with Core-Admin will have an individual user to ensure each hosting runs with isolated permissions. 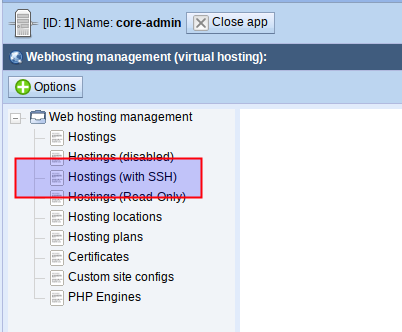 This hosting user has no way to access through ssh, even it if opened ssh port and a password is configured. 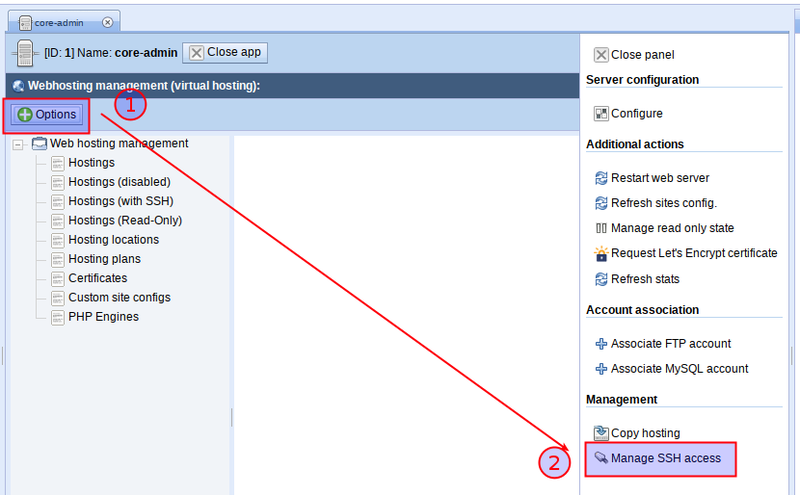 This article, explain how to enable or disable ssh access for a given hosting using Core-Admin. Be sure you have a firewall controlling SSH port (usually 22/tcp) to avoid leaving it open for everyone. It should be limited. If you don’t have a firewall installed, use #Firewall manager. 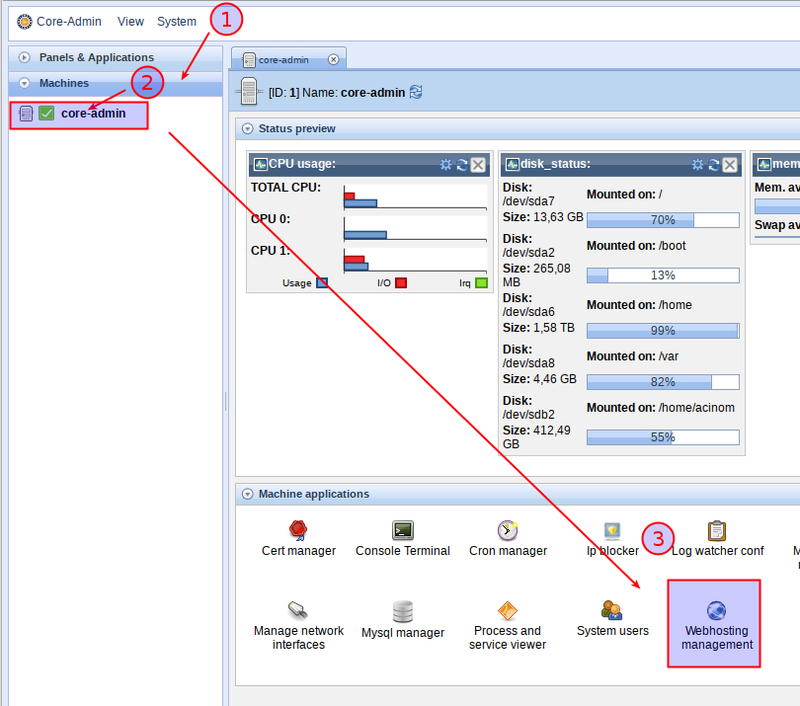 See the following manual to know how to configure it. Use the following steps. You will need Administrator rights to complete these steps. 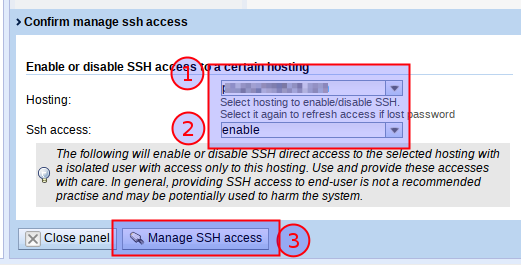 In the case you want to disable SSH access, just follow same steps as described before but selecting “disable” inside “Ssh access”.